What do you do when you need to discuss something with someone along with completing the work you are supposed to do? What if Whatsapp on your smartphone isn’t sufficient? No worries, now you can launch it from your desktop system as well, thanks to technological adaptation. The Whatsapp Web is the is the platform where you can chat and converse with your loved ones, colleagues, friends or even update your status and leave texts in the Whatsapp groups you have made. Thus, you enjoy all the facility on the desktop alternative as you do on your smartphone. But, for that, you must connect it to the system in a certain way. And, this article offers you just that. However, prior to that, you must know what exactly Whatsapp Web is and how it functions, so let us begin. WhatsApp Web: What is it? The Whatsapp web is the most popular instant messaging application in this era. It adapts to its customers’ requirements by updating its services thereby maintaining consistency in the market. 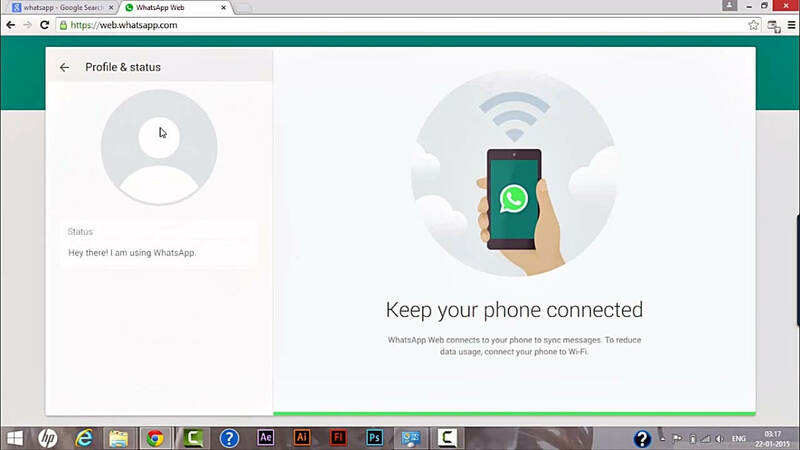 The web.whatsapp.com offers to portray your Whatsapp on the desktop. And you can do this simply by scanning a QR code. After a successful scan, it syncs all your contacts and messages including media like images, documents, voice recordings, videos that you share. Once connected, you can even scroll up to refer to previous messages. Thus, Whatsapp Web even loads earlier conversations and media apart from letting you share and chat. You can operate Whatsapp in Whatsapp Web just as you do in smartphones. Changing the approach doesn’t signify compromise with the major functions. You can still chat, share and enjoy without any drawback. Also, the Whats app Web developed its features and turned smarter. By now, you all are familiar with the picture-in-picture feature which grants you to watch the videos that are shared in the application itself. This is just a single recent update of many. However, now that you know about it well, let us discuss the steps which will let you enable the application and mirror it on the desktop. How can I use WhatsApp Web on Desktop? You can access Whatsapp both on your smartphone and the desktop thereby giving you an enhanced experience in communication. And, the process is extremely simple and hassle-free. This convenience lets you switch from smartphone to desktop quickly and without any waste in time. However, follow the simple instructions beneath to have your Whatsapp connected in no time. Launch web.whastapp.com on your desktop. As said earlier, this is the platform where you operate your Whatsapp freely. The site shows a QR code which you must scan. Now, launch the Watsapp application from your smartphone. Then, locate the Menu which is on the extreme upper-right corner. The Menu, in fact, is three vertical dots touching which presents you with a few options. And, among them tap on the option that says Whatsapp Web. Ensure that your internet connection on your phone is On. However, clicking on the Whatsapp Web launches an integrated scanner. And this indicates you to scan the QR code that you see on the desktop screen. Place the QR code within the scanner box on your phone. This launches Watsapp web on your desktop. Now, you can operate as you wish. But, make sure you are on the same Wi-Fi internet connection or else nothing will work. How can I Check WhatsApp Web? You can check and inspect the Whatsapp Web on your desktop system in a simple and quick way. 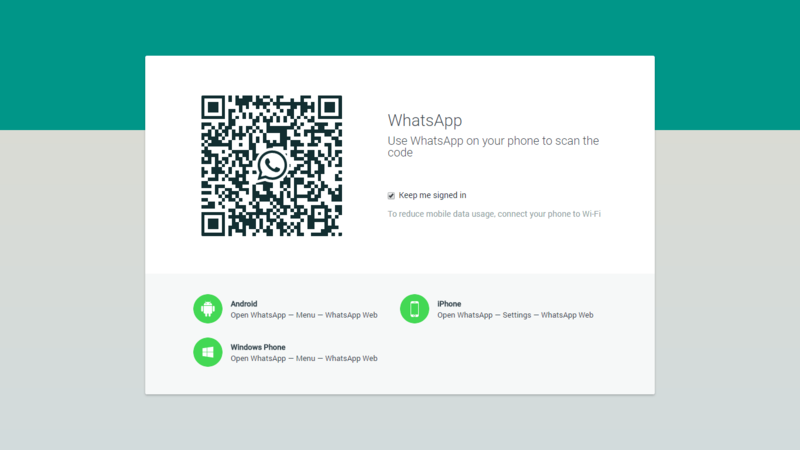 Type web.whatsapp.com in the URL section in your web browser which leads you to a page presenting a QR code. Confused? Well, don’t be and proceed. Open WhatsApp on your phone and then select the WhatsApp Web from the menu on the right-most corner. This launches the in-app scanner which you should use to scan the QR on your PC. A successful scan opens the application before you. Thus, you can monitor your WhatsApp Web. It also stores the previous conversations you had on your smartphone and also all the media that you sent and received both. Also, it has the Starred Messages saved and lets you refer to them whenever you require to. 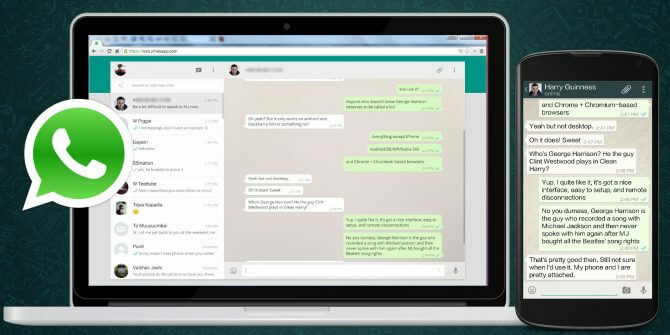 Thus, you can check your WhatsApp on a desktop as you do on a smartphone. 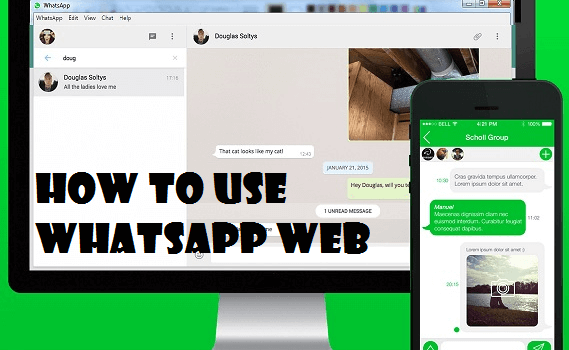 How to Enable WhatsApp Web? Enabling the WhatsApp Web provides an improved and better conversation experience. You may want to operate it on a desktop for time-saving purposes along with the work that you are doing or plan to do. Enabling the WhatsApp Web is extremely easy and only calls for a few quick steps. In the browser’s URL section, type in web.whatsapp.com which leads you to the page showing a QR code. Now, on your smartphone, select the WhatsApp Web form the options in your mobile application. The in-app scanner demands to scan the QR on the desktop screen. After that, the site on the desktop system takes you to the WhatsApp page where you can chat, talk and share loads! How to Disable WhatsApp Web? This is the easiest and the most convenient method. Here is what you have to do. Click on the three vertical lines. Finally, click on the ‘Log out from all computers’ option. This way you can log you out from all the additional places in which you have previously logged in. If you are still unsure whether you have successfully logged out from all the devices, then follow this method. This might be a bit time consuming if you have accessed your WhatsApp account on multiple devices. Nevertheless, the method is quite simple. Take a look. Open the WhatsApp Web account. Go to Menu and click on the option of Log out. Congratulations! You have successfully logged out from the WhatsApp Web profile. Many WhatsApp web users have claimed to use this method for logging out. All you have to do is to delete your browser’s browsing history on which you were accessing WhatsApp. It will without much hassle automatically log you out. Thus the computer-based extension gives you an advanced communication experience. Some prefer the PC keyboard over the mobile counterpart. Whereas, some incline towards time-saving and demand such an experience on the desktop. And WhatsApp has made it easier and highly convenient for them. Hence, this helps you work and talk together! However, I hope the article covers all your queries from loading previous data and media to its hassle-free operation. Copyright © 2019 Techcloud7.org | All right reserved.